What do we learn from this Spiritual Quote? Spiritual Quotes work like the lamps that spread the light of knowledge and dispel away the darkness of ignorance. 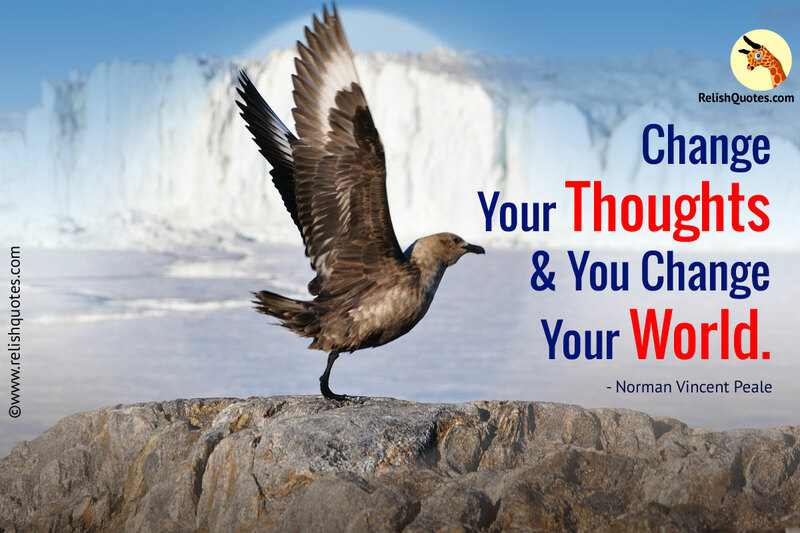 This Spiritual Quote by Norman Vincent Peale tells us about how the total scenario of a human being’s life can take a complete turn if he changes the way he thinks. It is very rightly said that the way you act is a crystal clear reflection of what goes on in your heart and min. Your conscious mind will always try to be alert and vigilant on the exterior, ready to grasp in and register information from every corner. Eyes and the conscious mind register and create images and perceptions that further get processed and transformed into thoughts. The thoughts then run through your brain and the subconscious mind, keeps working, behind the curtains. The crux of all this is that no matter how much you think, you try or you do for the betterment and up gradation of your life, and the world around you, nothing changes. If your change the thoughts that go on in your brain then nothing can stop you from having a life altering experience. Surprising, as it may sound, your thoughts determine the pattern of upcoming events that have an impact on the world around you. The kind of thoughts that you store in your mind, have a direct impact on the energies and vibrations you create around yourself. If you train your brain, to create and form an optimistic outlook towards the happenings of your life then the outcome of those situations will be positive too. All that is needed is a bright and fresh outlook that is free of any kind of negativity. The results that you derive after an alteration in your thoughts, is unbelievable. Think good, believe in good and good will happen. Living a trouble free life does not require any kind of rocket science. Change in the way of looking at the usual things, with a fresh and innovative point of view is all you need, to change the world around you.